His Highness the Crown Prince Sheikh Nawaf Al-Ahmed Al-Jaber Al-Sabah was born on June 25th, 1937. The son of the late Amir Sheikh Ahmed Al-Jaber Al-Sabah, His Highness was raised in a home where education and discipline were stressed. He studied the Holy Quran at an early age and enrolled in public schools until he completed his education. His Highness has four sons and a daughter. Proclaimed Crown Prince, in accordance with constitutional procedures, on Tuesday 8th Muharram 1427 A.H., corresponding to February 7th, 2006. An ever-growing multi-ethnic area, His Highness' main concern was keeping the Hawalli area a safe and harmonious place for people to live and work in. His Highness Sheikh Nawaf urged interior ministry officials to increase patrol cars in the streets to keep the peace and provide more security. His Highness often personally interceded to resolve family problems. His Highness undertook the responsibility for the Hawalli Governorate for about sixteen years..
His Highness focused on the improvement of the police and security agencies by introducing a Legal Department to advise them on legal and administrative procedures. The organizational level of this department was later upgraded to Undersecretariat. His Highness effected his deep belief in the open door policy and urged senior commanders of the ministry to follow it. He also urged commanders to facilitate ministerial procedures for both citizens and expatriates. He modernized all Ministry of Interior departments by providing modern equipment and financial capabilities. His Highness established a Mayoral Department 'Al-Mukhtareen' to care for citizens in their residential area and a Department for Conferences. He established an Elections Department / Electoral Office to prepare for and organize National Assembly and Municipal Council elections. His Highness established a new organizational structure for the ministry encompassing both civilian and military divisions to keep up with the rapid growth and progress witnessed at the time. His Highness widely encouraged the ministry's civilian employees and military personnel to continue their further education through academic scholarships. His Highness played a pivotal role in supporting Gulf and Arab security through active participation in meetings of Gulf Cooperation Council and Arab interior ministers. 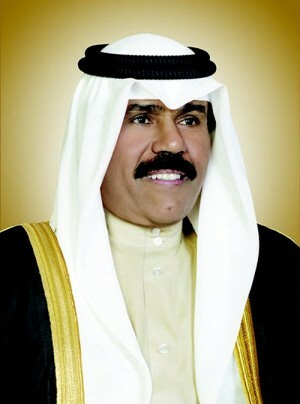 His Highness established a Department for Private Contracts. He ensured that purchase contracts for weapons stipulated personnel training and maintenance. His Highness developed the ministry's legal department and established a Higher Committee for Defense Purchases, comprised of senior military commanders and civilian employees of the ministry. His Highness attached importance to sending young military personnel abroad for training on military aircraft maintenance and other sophisticated military equipment. His Highness stressed the concept of social work and proved to be the best advocate for the welfare of women and children. His Highness established a specialized hospital for the elderly within the compound of the social care homes providing for the care and comfort of the residents. His Highness took a great deal of interest in the religious, cultural, artistic and social activities of the National Guard personnel. His Highness raised the standard of medical services for the National Guard and encouraged young people to enlist. His Highness Sheikh Nawaf sent many National Guard personnel on educational and advanced military courses.